Over the weekend, Drake fans around the world rejoiced, because the rapper bestowed upon us a great boon. Not only did Drake released "Summer Sixteen," a brand new track and the first official single from Views From the 6, but he also finally gave us a release date for the album that we've been waiting forever and a day for. Views From the 6 will be coming out in April 2016, which is only a couple of short months away. Finally. Finally. And, just in case you've forgotten exactly why it is that you've been waiting for this long for one simple album, "Summer Sixteen" will quickly remind you of why Drake is one of the best in the game right now. The "Summer Sixteen" lyrics reference everything from Kanye West to the Meek Mill feud with the kind of expert style of rhyme that we've come to expect from the actor formerly known as Aubrey Graham. From there, it becomes immediately clear that the "summer sixteen" referred to in the song might be Summer '16 — as in this upcoming season. 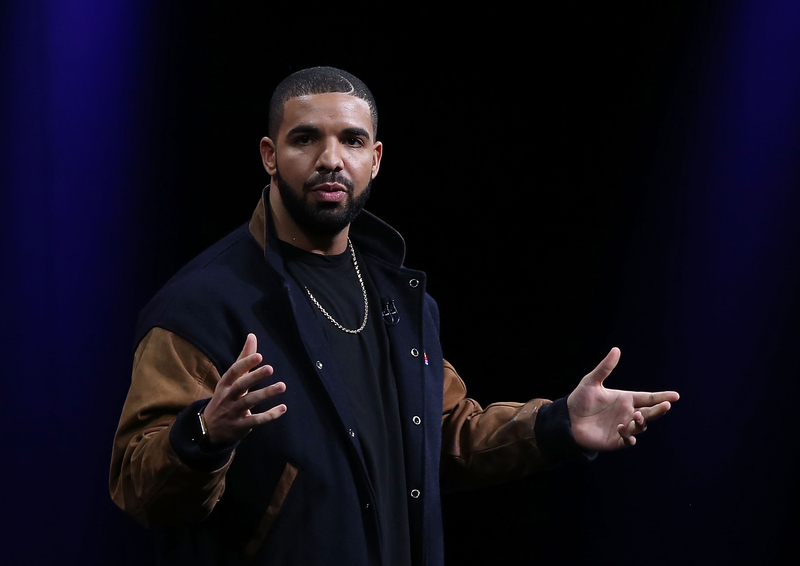 Drake is about to release his new album in April, and thus by Summer '16 he could be on some sort of promotional tour. Should we take this bridge as an indication that the tracks on Views From the 6 will be throwing shade at all of Drake's enemies? I'm not saying that Obama is one such enemy, but comparing your songs to the President of the United States is definitely one way to make it clear just how much of a boss you are. In case you were wondering if the Meek Mill and Drake feud was over — well, it is, but that doesn't mean that Drake doesn't have a right to reference it. In this section of the verse, he reflects back on the diss records he dropped about Meek Mill, pointing out that it was never really about Meek Mill. Anyone who comes at Drake gets slayed, man. That's the most poetic way to say "shut up" that I've ever heard. In case Drake can't make it any clearer, he's done holding his tongue — if what he's done to this point could be considered holding his tongue — and he's going to get real with anyone who thinks he can't fight his own battles. Not only does this verse contain perhaps the best OVO name drop I've ever seen, but Drake's bold declaration that he's far from out of the game rings true when he's dropping tracks like this for the benefit of, well, everyone. Jay Z and Kanye West both get a mention, and, rather than being a diss, Drake's sense of humor shines through. Does he have a bigger pool than 'Ye? I mean, I'm glad to know that it's a nice pool, but someone whip out a tape measure and check this fact right now. I don't know about you, but Drake pointing out that he's running things in America when he's actually Canadian is still making me laugh. All in all, "Summer Sixteen" was a perfect single to release from Views From the 6, because it expertly shows off everything that Drake does best on a song. His beats, his rhymes, his jokes, and his disses all come together to make a fantastic new hit to tide us over until April 2016. I already can't wait. You can listen to the song on Apple Music right now.